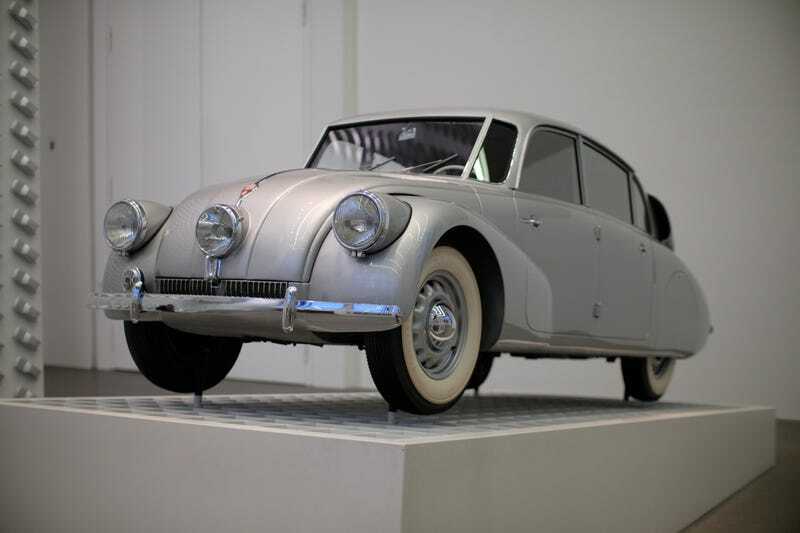 A perfect 1937 Tatra T87 sits in Munich’s Pinakothek der Moderne art museum. A perfect 1937 Tatra T87 sits in Munich’s Pinakothek der Moderne art museum. As my coworker Jason has made abundantly clear, this Czech-built car should be revered for a number of reasons, not the least of which is the ~85 HP air cooled engine that was way ahead of its time mounted in the back, and the three headlights and general aerodynamic shape (dorsal fin!) that yield an absolutely stunning exterior design.